Sillwood Road is minutes walk from anywhere in Brighton. Walking distance to Hove, the Beach, the City Centre, Kemp Town, the Lanes and the station is a short walk. The property is newly decorated and arranged over 5 levels, with basement large open plan kitchen and dining area, leading to a terrace with table and chairs. Then on the ground floor a large lounge and guest bathroom and closet space. Then upstairs leads to 5 bedrooms, two en-suite bathrooms, guest bathroom and a third bathroom on the 2nd floor. The property has a wow factor from the moment you walk through the door. Large rooms, high ceilings, modern and contemporary decor. An east meets west them. That you will feel at home in. The beach is 2 minutes away, so very close to have fun. Bars, restaurants, kids playground, and parks all nearby. At the rear of the property, we have an outside space of the kitchen area and a roof terrace that can be used. Our family bought this beautiful house in early 2003. It is our family home and we had the best time here due to its location and the short distance to all the best places. You will absolutely love it as much as we fell in love with it when we bought it. Come and enjoy the home. The beach is a stone throw away and the promenade for morning walks. We loved the entrance which is really unique and the lovely open spaces and high ceilings. We hope that you enjoy Sillwood as much as we do. It is a truly fantastic place to stay and very comfortable summer and winter. The entrance is unique. With curved sweeping walls. It is light an airy as there are so many beautiful tall sash windows to let in the light. Also, the kitchen/diner is super spacious for parties and gatherings. We have had many a gathering around the big 12 seater table and the kitchen island. Perfect for cooking and entertaining. This is a high-end house. We do not pack in people into our rooms like other properties. The kitchen is also the latest design and as it is a family home we kitted it out with the highest quality appliances. It has plenty of bathrooms too. The hall going all the way upstairs is made of glass and oak wood which gives it not just a modern feeling but also a warm and homely feeling. There is a public car park in Regency Square, which is few minutes walk from the property. Hair dryers is one in every bedroom. We are close to the sea front and within walking distance of theatres and shops. There is a Waitrose supermarket at the top of Sillwood Road with a customer car park(2hours) and also a Sainsbury's. Tidy, clean, comfortable beds, well equipped kitchen and great communication from the hosts. Central location and close to the sea. Thank you for your review. Very much appreciated and super glad you had such a great stay. We stayed in Sillwood house with the family for my grandparents 60th wedding anniversary and the house was perfect! The property was clean, tidy and had lovely decor. Very close to the seafront and in a great location with lovely restaurants and bars in close proximity! Tania the host was at the property when we arrived to show us around the property and was very friendly and helpful. Would certainly recommend!! We rented this house for a hen party, with a beautiful ground floor lounge area and also a basement kitchen/ seating area there was plenty of room to hang out etc. Bedrooms spacious with comfy beds and bedding. 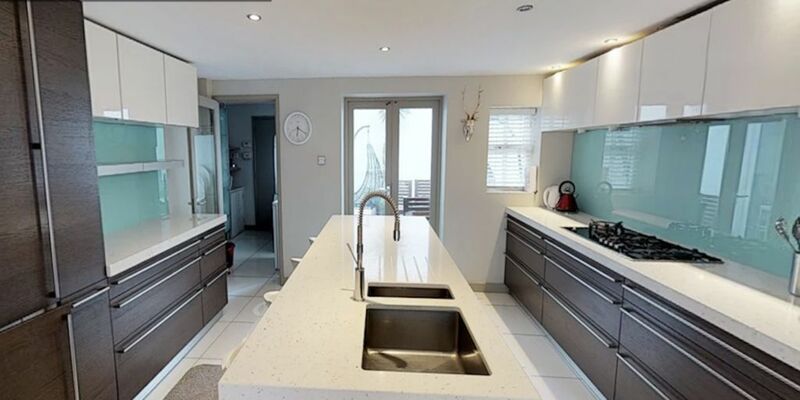 One of the main attractions of this place is the close proximity to the beach front and all amenities Brighton has to offer. Would highly recommend this place for a hen party or just a group of friends/ family. A lot of the accommodation in Brighton packs lots of beds in each bedroom like dorm rooms! This is not like that at all, a few rooms have en-suites too and if they didn’t a bathroom was not far away. Thank you so much for.your lovely review.. it's very helpful to help others to get a feel for the home. We appreciate that you took the time to write. And hoped to see you all again soon for a celebratory reunion. Lovely house has everything you should need. Great location to all the attraction in Brighton. Would definitely use the house again. Thanks Sally for your review. It was lovely having you stay. We look forward to your next stay with us. Take Care and Congrats again on the 50th Birthday party member. Brilliant space and so close to the Beach and tourist attractions. Booked this for a hen weekend. It was a beautiful house, a great setup for a hen with the kitchen on lower ground floor. Very good location just a short walk into town. Brenda was very friendly and helpful. Parking is pricey in town so recommend parking at Norton Rd car park which is £5 for 12hrs and a mile from the house. Would book again! Brighton is a vibrant, cosmopolitan city which is situated on the South Coast. Sometimes referred to as a mini London by the sea. It is easy to get to via road or by train and with an efficient bus or Taxi service you will not need to bring your car. If you do wish to drive then we suggest either parking the car in the nearby car park just off the seafront or by parking out of town and getting a taxi or bus in to save on the parking fees. Christmas rates: £550 per night-minimum 3 nights. New Year booking for 3 nights £1650. You can contact us for variation of days for your rental. We are flexible. Weekend rate high season £1650 for 3 nights and midweek 4 nights £1000. Or for one week £2195. Please leave the house tidy with rubbish in the bin on the road nearby. Welcome to Brighton.